Happy (belated) Patriots’ Day, everyone! What, you don’t know what that is? Don’t feel bad…growing up in Southern California I’d never heard of it either, but trust me that it’s a big deal in Massachusetts. Patriots’ Day commemorates the Battles of Lexington and Concord on April 19, 1775 (the “shot heard ‘round the world”) that signaled the start of the American Revolution. There are reenactments of Paul Revere’s (and William Dawes’) midnight rides, battle recreations, parades…oh, and Boston hosts a little event for upwards of 30,000 runners called the Boston Marathon. Yup, big deal is quite the understatement. I wanted to bring a treat for my co-workers to celebrate Patriots’ Day and the Marathon (I work about a quarter mile from the Finish line). There were a lot of us and feeding a crowd cookies required a lot of portioning-out time in the kitchen. Luckily, I happened across a recipe from Sally’s Baking Addiction that fit the bill: Chocolate Chip Cookie Bars. Speaking of melted butter, I upped the ante of this recipe by browning the melted butter. Why? 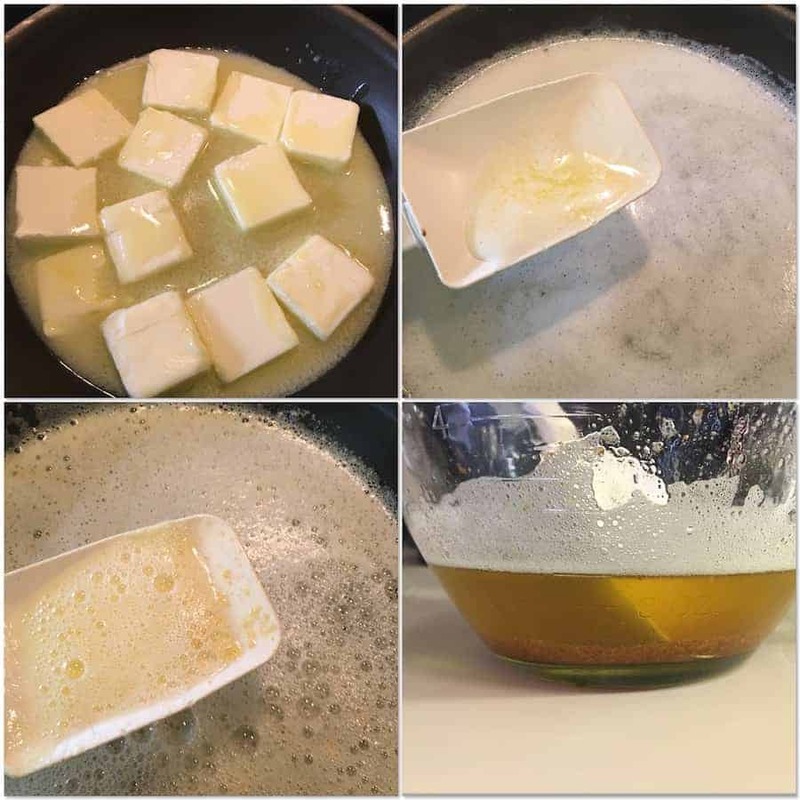 Brown butter toasts the milk solids in the butter, giving it a wonderfully rich nutty flavor that really amps up the volume of what you’re making. And it’s easy to do: browning butter is just cooking the butter past melting until it turns a dark brown color and smells nutty. You have to be vigilant though…the butter can go from brown to burnt in a few seconds, so watch it carefully and take it off the heat and into another container as soon as the color turns amber (black butter is not what we’re after!). It’s best to use a light-colored pan to brown butter, but since I don’t have one, I settled for a white spatula instead (hey, I just work with what I have). Making brown butter takes about 8 minutes, and it’s worth it! This tool is really handy to have! In a medium bowl, whisk the melted butter, brown sugar, and granulated sugar together until no brown sugar lumps remain. 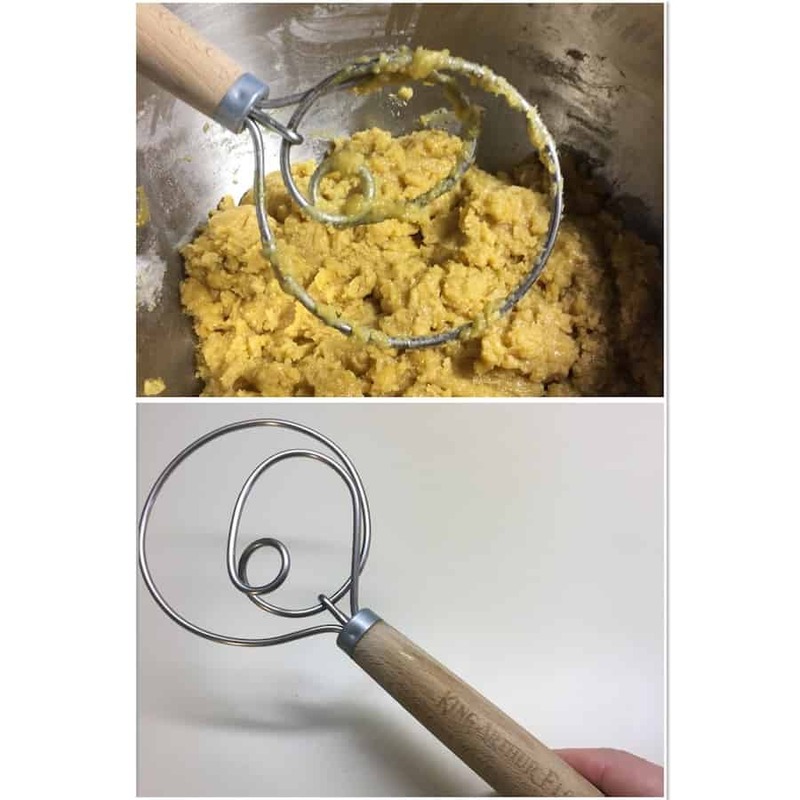 Whisk in the egg, then the egg yolk. Finally, whisk in the vanilla extract. The mixture will be thick. Pour the wet ingredients into the dry ingredients and mix together until combined. The dough will be very soft, yet thick. Fold in the chocolate chips. The chips may not stick to the dough because of the melted butter but do your best to combine them. Transfer dough to the prepared baking pan and press/smooth into an even layer. Sprinkle the top with sea salt if desired. Also, press a few more chocolate chips on top of the dough before baking (just for looks). Bake for 32-35 minutes or until lightly browned on the sides. Use a toothpick to test for doneness; if it comes out clean from the center of the pan, the bars are done. Allow the bars to cool in the pan set on a wire rack for at least an hour. Once relatively cool, lift the foil out of the pan using the overhang on the sides and cut into bars. Store in an airtight container at room temperature for up to a week. You don't have to brown the butter, but doing so adds a caramelized, nutty flavor that just takes this bar up a notch. You can double this recipe to fit into a 9- x 13-inch baking pan (that’s what I did). The bars will take longer to cook through, about 40 minutes at 350°F (177°C). Use a toothpick to test for doneness (in my oven it took 30 minutes to be done, so check the bars early if your oven runs hot). 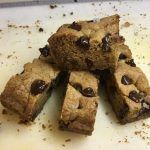 30 minutes = Chocolate Chip Cookie Bar nirvana! 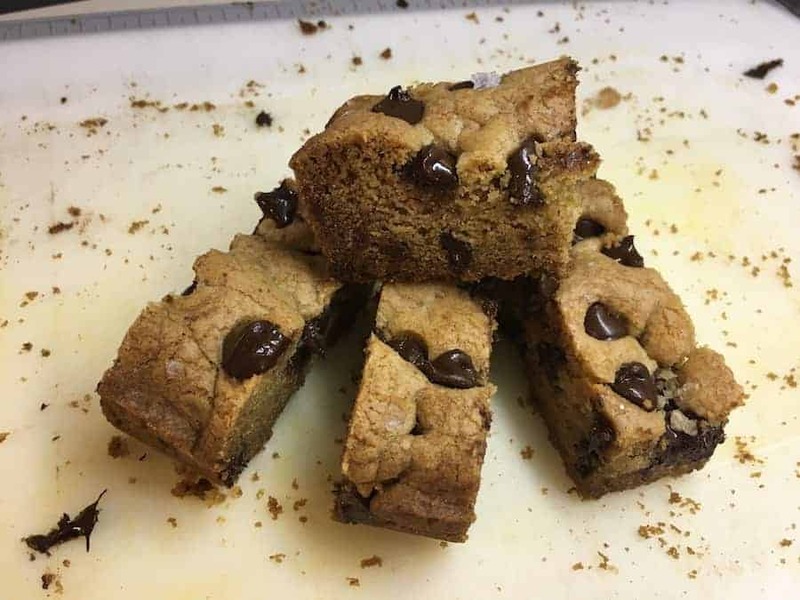 These Chocolate Chip Cookie Bars were chewy, buttery, and gloriously chocolatey…truly the best of what a chocolate chip cookie had to offer without having to portion out dough (even though cookies are portioned-controlled bits of food hugs). It’s too bad there isn’t a “smell-o-blog” setting here because my kitchen smelled incredible while the bars were in the oven…think sweet brown sugar and hazelnuts (or maybe, think a good Speyside scotch!). My co-workers devoured the bars quickly…next time I’ll have to double-double the recipe and maybe even cut them smaller so more people can enjoy them. When I took some to my daughter, she immediately agreed that the brown butter added more wonderfulness to an already wonderful recipe (I think her exact words were, “These are the best chocolate chip bars ever!”). So if you’re feeding a crowd (or just feeling lazy), these bars will be a big hit without too much effort, and that’s a fact I want to shout ‘round the world!